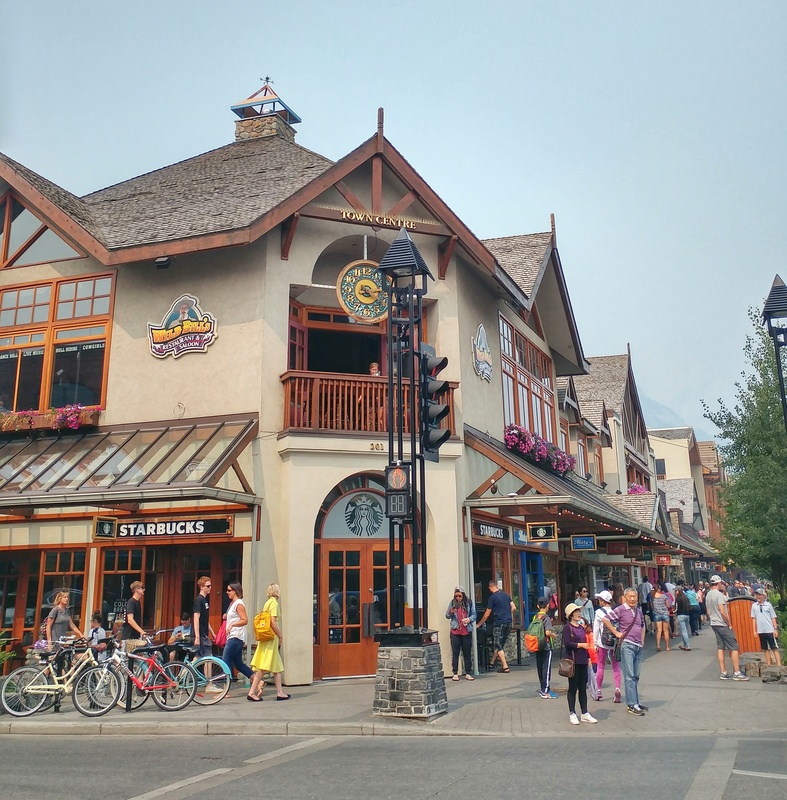 We’ve been excited for our visit to Banff for a while now. 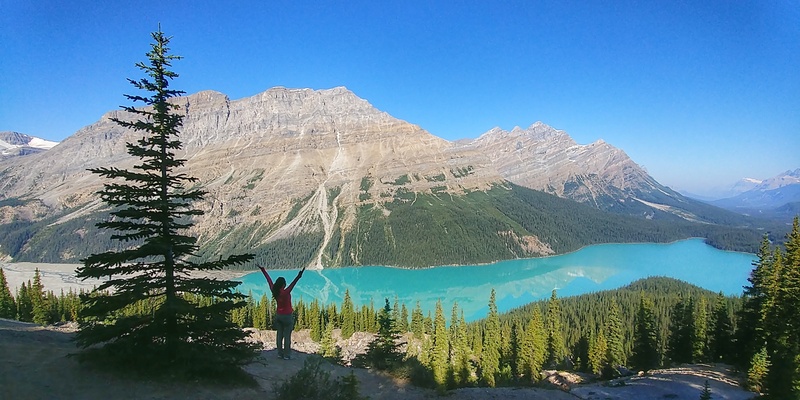 Known for its abundance of beautiful, glacial lakes and astounding scenery, it’s a nature lover’s paradise. By no means is it an ‘off the beaten track’ destination, as the busloads of tourists will attest. 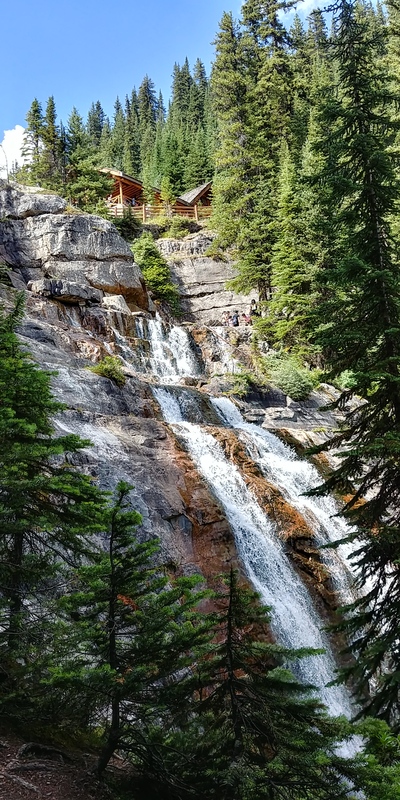 However, with the variety of activities and trails around, you’ll hopefully enjoy some outdoor goodness away from the crowds. 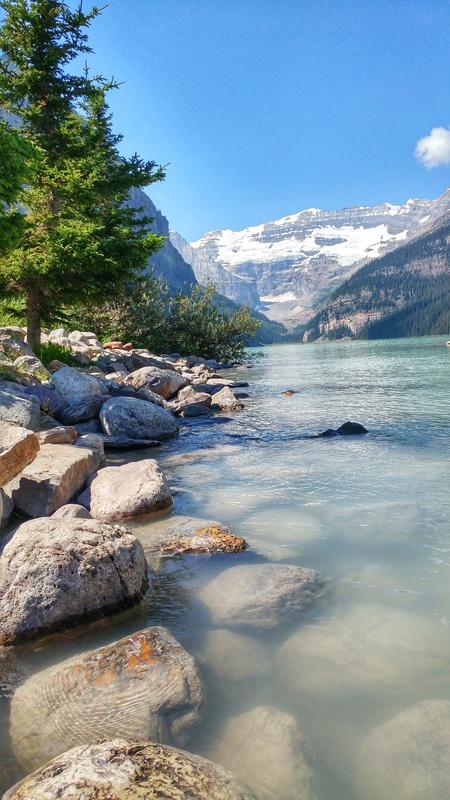 Lake Louise is really popular. So much so that during the summer, there is an overflow parking lot and shuttle service a few miles up the street to accommodate all the visitors. The shuttle also makes drop-offs at the small Lake Louise village. 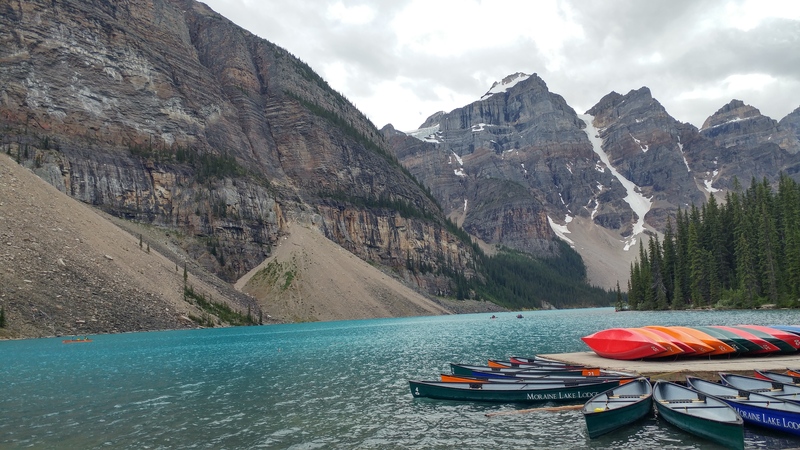 However, as of our recent visit, the shuttles don’t run to Lake Moraine. 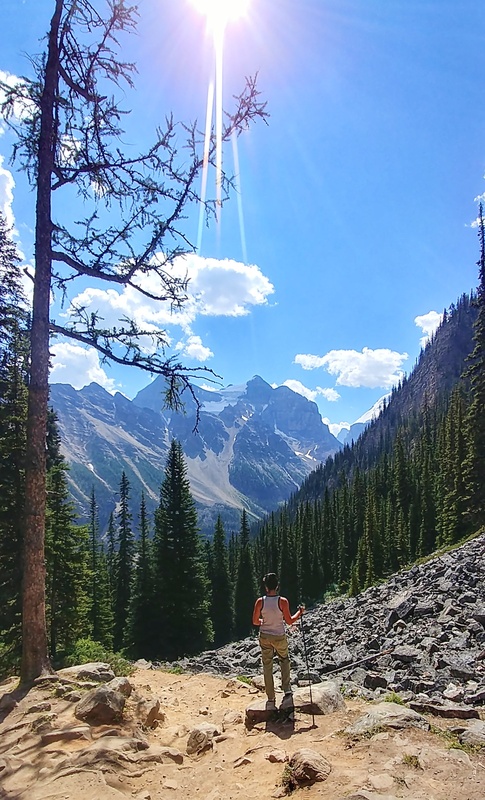 If you want to stretch your legs, a good way to do it is with a hike to the Lake Agnes teahouse. 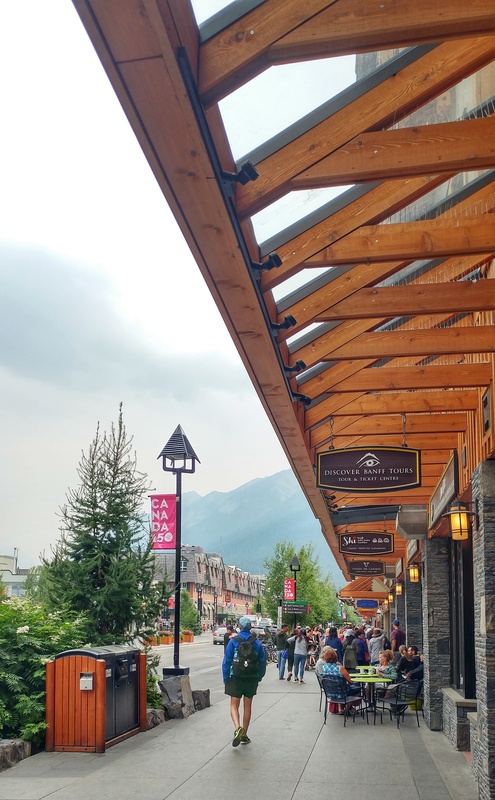 The trailhead starts just past the Fairmont hotel on Lake Louise. It’s a moderately strenuous hike that’s mainly uphill for roughly 3 miles roundtrip. 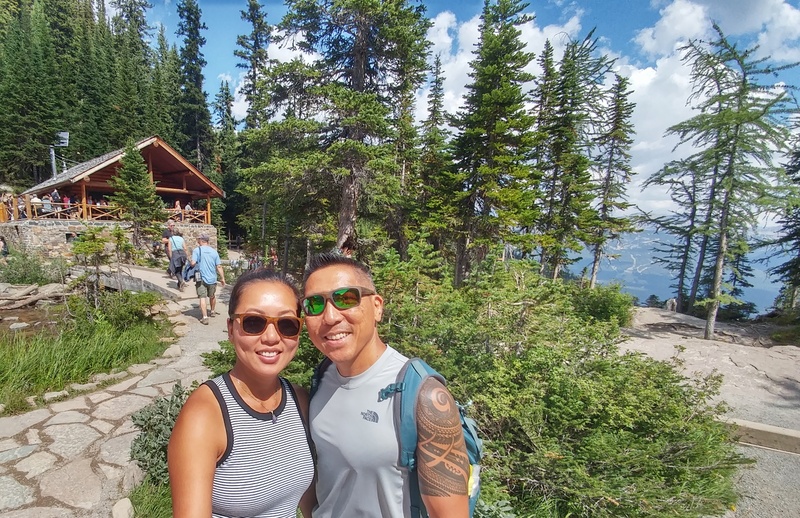 The reward is relaxing by Lake Agnes and enjoying some tea and snacks at the busy teahouse. We made it to the teahouse! The 51-km long Bow Valley Parkway parallels Hwy 1 between Banff and Lake Louise. 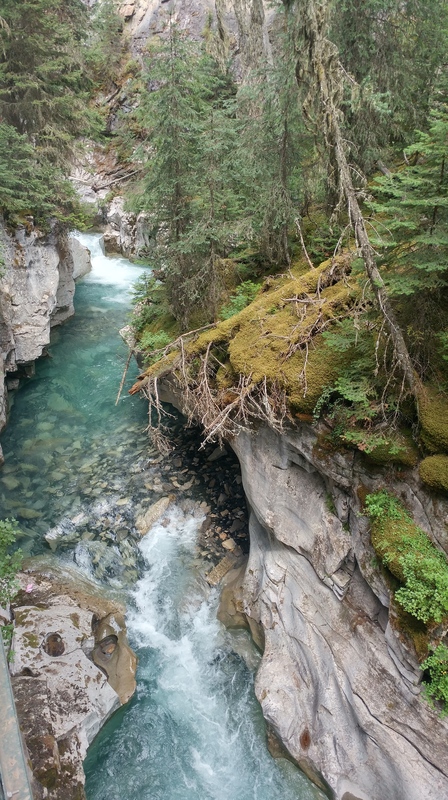 Jump on the Parkway for a windy, picturesque drive and to access Johnston Canyon. 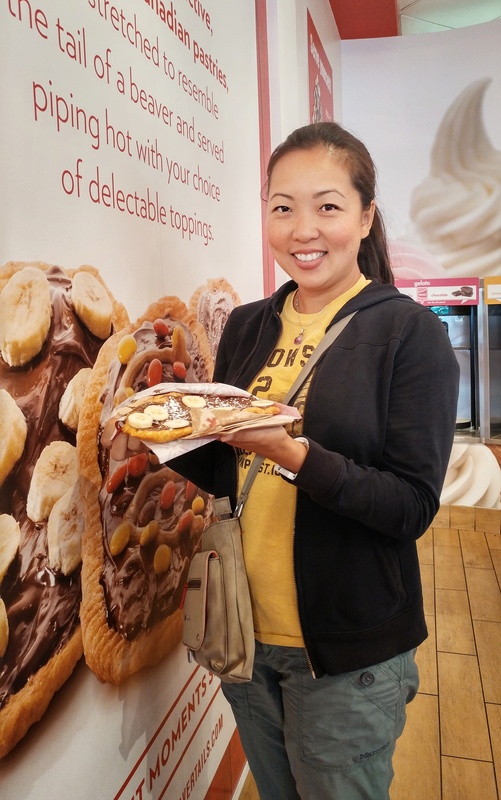 There’s also a few trails here and a little shack where you can enjoy a pre- or post- hike ice cream, pastry or coffee. Access to the lake is off a spur road on the way to Lake Louise. Parking here is extremely limited as the lot is small and has spaces only marked for cars. You’ll often find people parking by just barely pulling off to the side of the one-lane street. There is a section for RVs but only a handful of vehicles can be accommodated there. Additionally, unless you arrive early in the morning (before 8am) or in the afternoon (after 3 or 4pm) in the summer, the spur road will likely be closed off to you. The blueness of the water is incredible! 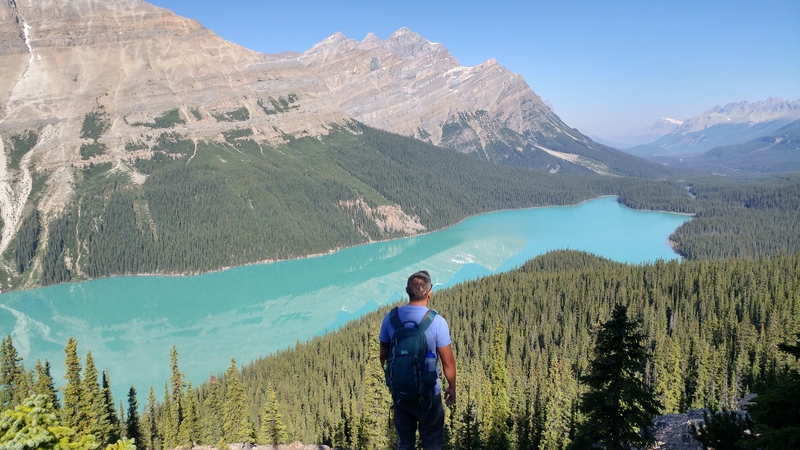 Picture perfect Peyto Lake (say that three times fast! ), located off Hwy 93, is roughly one hour from Banff. Parking is limited but you can improve your chances by visiting early morning or later in the afternoon. 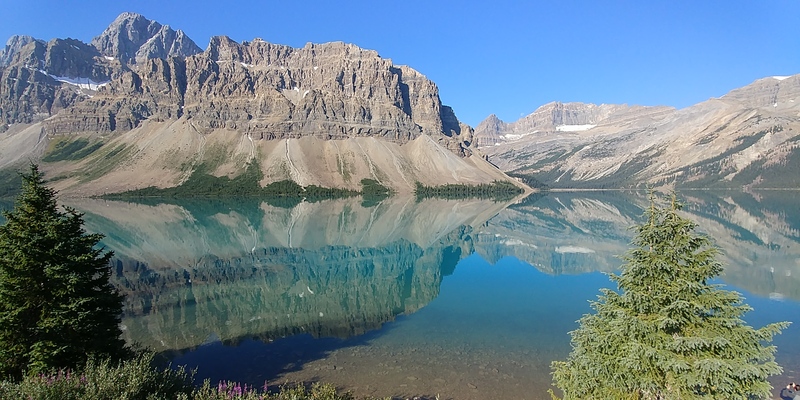 Bow Lake is also on Hwy 93 and is situated on the way to Peyto Lake (if traveling from Banff) so it’s easy to knock both off your list at once. 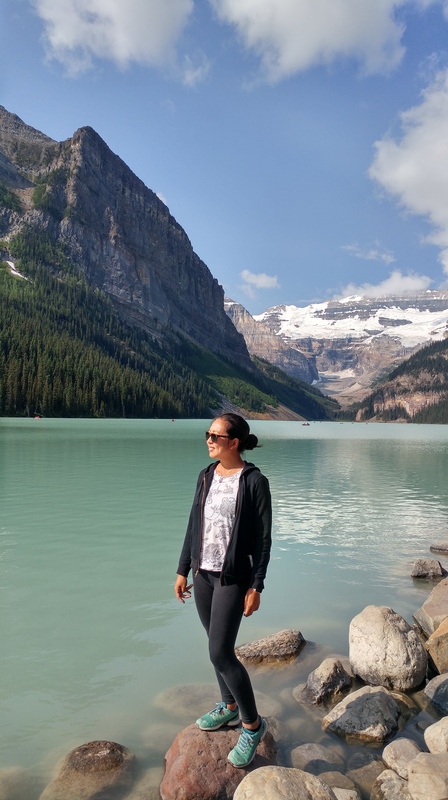 While there, we indulged in some good food and sweet treats – Masala indian restaurant , Tooloulou’s creole cuisine, and SaltLik steak house were some stand outs. 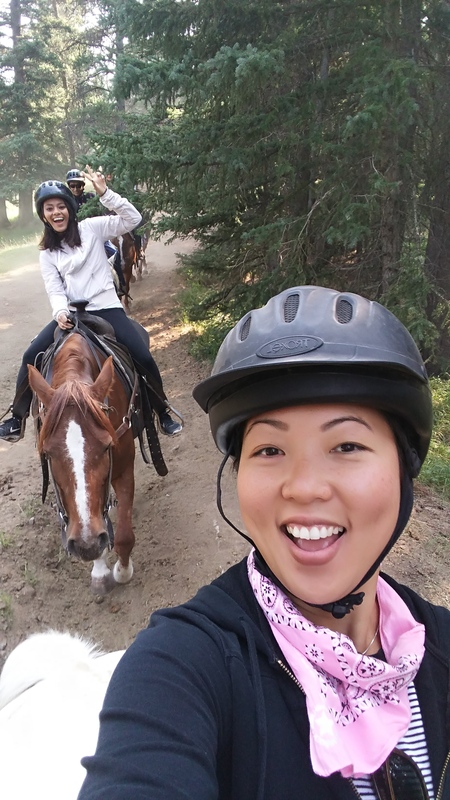 We then balanced that out with some fun horseback riding along the Spray River and canoeing along the Bow River. Warm beaver tail anyone? Ok, that sounds bad. Shot of a black bear we took from our car! And these cuties…😍 mama and baby! 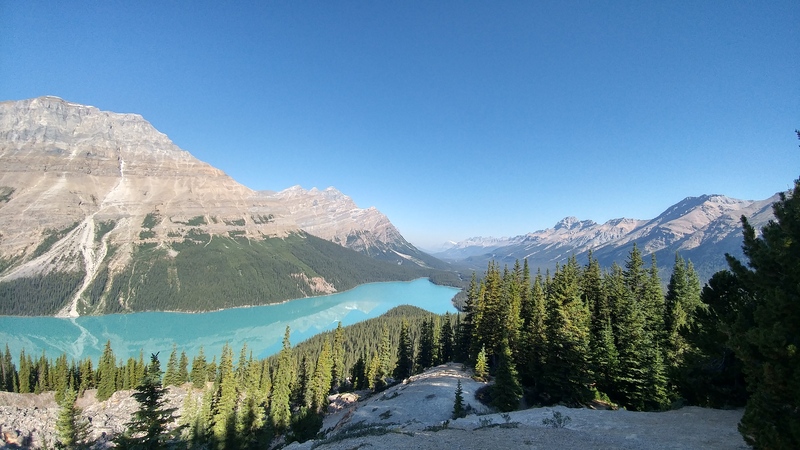 RV/Oversized vehicle parking: We camped at Tunnel Mountain Trailer Court campground, which is less than a 10-minute drive away from Banff Town. It’s not easy to walk into town from the campground however, as the road leading into town is steep. However, there is a shuttle (fee) that you can catch from the campground to various parts in the city. The campground itself was clean and we enjoyed full hookups. There are also clean restrooms and showers. Reservations can be made in advance online. Beautiful area, love your pictures! 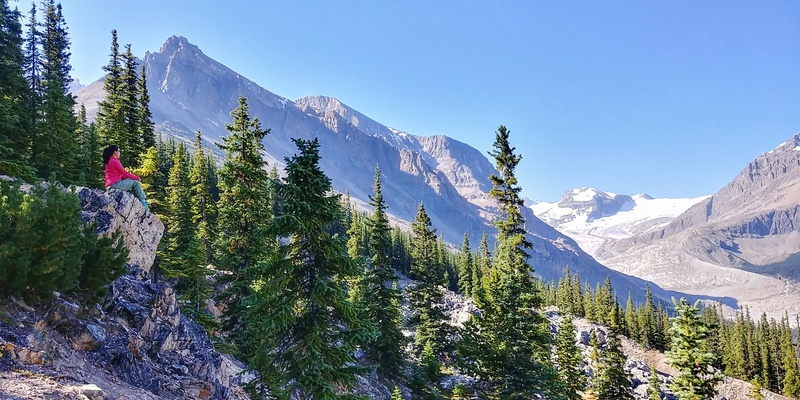 Will you be taking in Jasper National Park? We are getting excited to start our own grand tour! We are heading south in October and can’t wait! Like you, we enjoy sharing our adventure 🙂 Where are you off to next? Oh, fun! Safe travels to you! 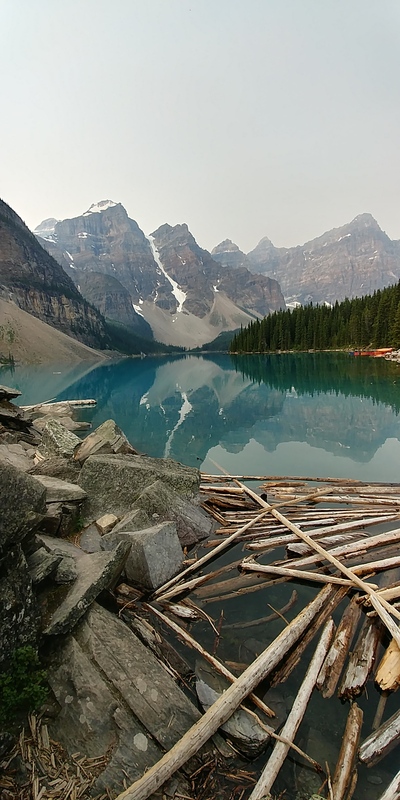 Will you travel south into the U.S. or more travels in western Canada? I’m headed back to the U.S. to visit Washington state’s national parks. We leave our home town of Kelowna BC mid October and will be working our way South down Hwy101. Our end goal is Florida Keys. This is our first extended tour, we are planning to return home in late March. That’s great! You’ll have a great time! The FL keys were great, definitely a highlight for me.